While the football world was watching the football games on Sunday an interesting development happened in the draft. A quarterback that most thought was going to be one of the better QB’s in next year’s draft decided to come out this year. 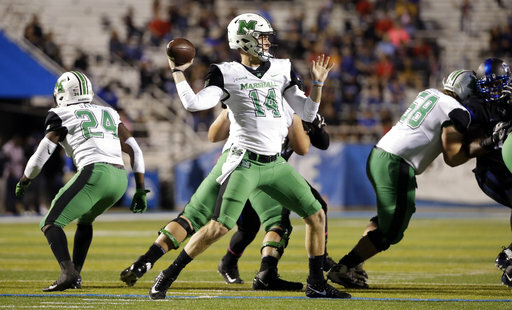 Chase Litton of Marshall will be a prospect that Bills fans should take a look at. This guy is the complete opposite of Tyrod Taylor. As a result, he is a prospect that I believe many Bills fans will be interested in. Litton is a pocket passer. I love the way he stands tall in the pocket and will stay in the pocket to deliver the ball even under pressure. Height is not an issue as he stands 6’6. He’s been very productive in his 3 years as a starter at Marshall. He’s thrown between 23-25 TD passes each season. As a three-year starter he has 34 starts under his belt. He’ll finish his career ranked 4th all-time in completions and 5th in yards in the Marshall passing record book. What I also is his quick release on his throws. He seems to have a pocket presence and moves well within the pocket. He’s not as good on the run as a guy like Baker Mayfield. That being said, he can move a little, he’s not a statue. A good basketball player in high school, he does have some athletic ability. I watched him play NC State in September. He threw for 350 yards and two touchdowns on the road. Twice he led his teams to bowl victories. I’m not saying that he will surpass any of the top 3 quarterbacks in the draft, but I like him a little better than Mason Rudolph. 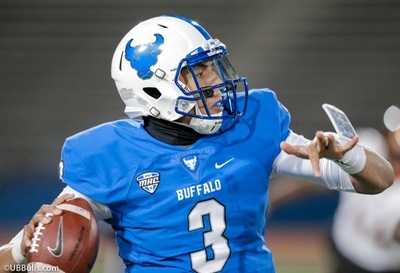 Since he is the opposite of Tyrod, this is a QB that I see as a sleeper prospect in this years draft.